New Year’s Eve is only a month away. 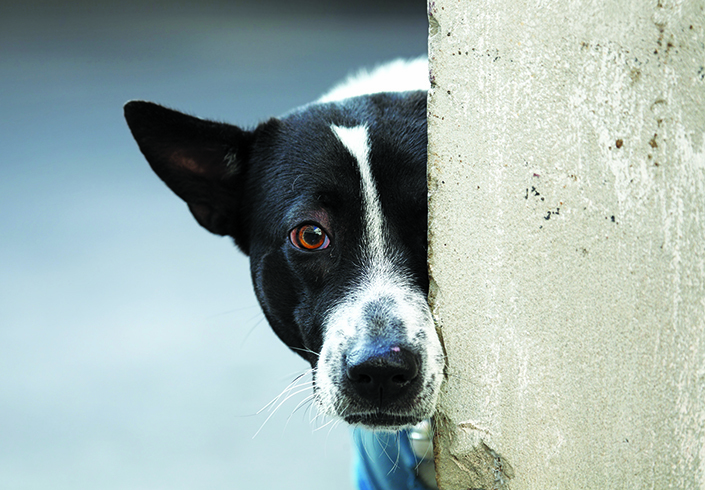 It’s a celebratory time for humans, but can be the most terrifying night of the year for our pets. Over summer, hundreds of pets will flee their homes in fear of fireworks and thunderstorms, putting them at risk of becoming lost or injured. It’s important to plan now to ensure your pet’s safety and well-being during fireworks and thunderstorms, rather than waiting until these events actually occur. 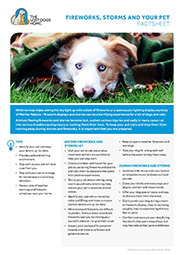 Our Fireworks, Storms and Your Pet fact sheet has tips on what to do before and during these events to keep your pets safe and help them cope. For advice specific to your pet, please speak with your vet. You can make an appointment at the Frank Samways Veterinary Clinic by calling (03) 9329 2755.